With warm weather just around the corner we here about dogs dying in parked vehicles, please leave your pets at home or if you can't, board them with us in the air conditioned environment at Bark Avenue. Regular grooming during the spring and summer will help a pet stay cooler, removing the loose and matted hair will allow air to circulate. A thick matted coat will only trap in the heat. not to mention the ticks as well. Keep an eye on puppies and senior dogs since they are the most susceptible in warm weather. If your pet is panting and drooling do try to cool them off by pouring cool (not cold) water over them, place a fan in front of them, please call your vet for further treatment. Did you know dogs have three eyelids? They have an upper and lower eyelid and a third one inside of the other two. It helps to protect the eye from dirt and dust. It is also called the "Haw". Cats have better vision than dogs. Dogs distinguish objects by movement, then brightness, and then by shape. Most of you may have noticed I have added a new Kennel Assistant named Dawn, who has had 10 years of pet care experience. For your convenience we have been adding a variety of pet care products including shampoos, cream rinses, brushes, nail clippers and flea & control products. We have also added Natural Balance food to our inventory. As always if there is something you made need please just let us know and we can order it for you. Remember, We still offer frontline with all our groomings. We are finally very close to finishing the new grooming room, hopefully it will be up and running in the next few months. Laurie and I will finally have more room to groom your pets. I am sure the dogs will love the extra space too. A special Thank you to Bob for spending his free time trying to get this done for us. Place all ingredients into a bowl and mix well. Roll dough out on a board till 1/4 inch thick. Cut into shapes with cookie cutter or use a pizza cutter to cut into bite size pieces. Bake for 30 Minutes. Turn off oven, allow treats to remain in oven till cooled down. 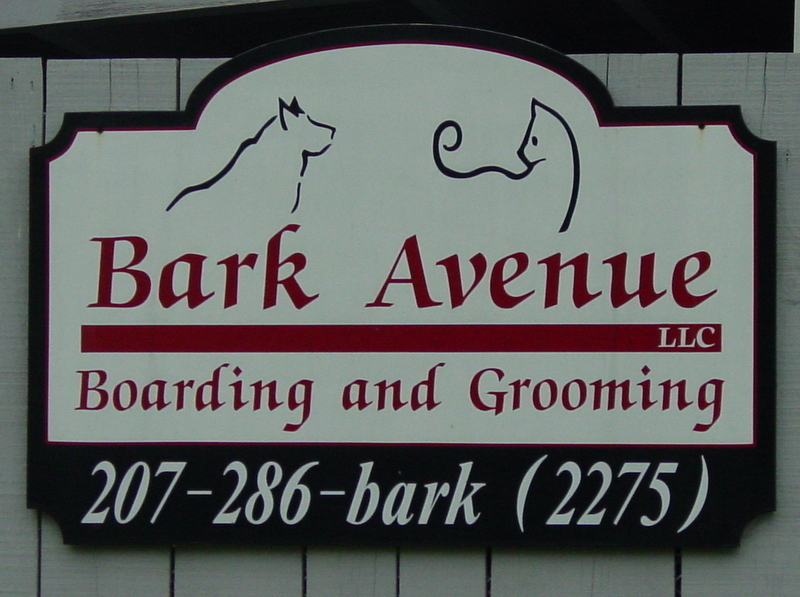 Copyright 2010 bark avenue. All rights reserved.